Cleanroom technology is used to create a given contained space with reduced particulate contamination while maintaining other environmental parameters of temperature, pressure and humidity. These are used by industries to render their products free from adverse effects of small particles during its manufacturing process. Global cleanroom technology market was projected at USD 3,602.5 million in 2017. The cleanroom technology market is segmented into products, construction, end user, and geography. Among the available product categories, the consumables lead the global cleanroom technology market in 2017. The various products used to offer cleanroom technology solutions are consumables and equipment. The largest market share is of consumables registering 61.1% in 2017. This large share is due to the large volume of consumables used to maintain cleanroom. The consumables are also cost effective, since these products have negligible cost of installation, and also has low maintenance cost. The commonly used cleanroom consumables include safety consumables such as apparel and gloves, and cleaning consumables such as vacuum systems, disinfectants, and wipes. Additionally, the equipment used in cleanroom technology are heating, ventilating and air conditioning (HVAC) systems, high-efficiency particulate air (HEPA) filters, fan filter units (FFUs), air showers, laminar air flow systems and biosafety cabinets. The industry players are developing technologically advanced equipment that will lead the category to witness significant growth during the forecast period. On the basis of construction, the market is characterized into standard cleanrooms, hardwall cleanrooms, pass through cabinets and softwall cleanrooms. Hardwall clearooms held the major share in the global cleanroom technology market in 2017, owing to the economical benefits associated to it over softwall cleanrooms. Additionally, the large stability and fast installation facilities of hardwall cleanrooms marks for its high demand during the forecast period. The various end user of cleanroom technology include pharmaceutical industries, biotechnology industries, and medical device companies. The cleanroom solutions are also used widely in life science industry, food and beverages, hospitals and academic research institutes, semiconductor industries. The pharmaceutical industries are the major share holder based on end user for cleanroom technology market, and is also estimated to lead based on size during the forecast period. The category’s large size is due to the increase in number of biopharmaceutical industries, with requirement of certified cleanroom components. The rising demand of technologically advanced cleanroom products, with increasing industry preference to certified products are the primary factors to drive the growth of the global cleanroom technology market. The rise in prevalence of infectious diseases, particularly in developing economies requires adoption of cleanroom technology, which is projected to drive the growth of the market in the future. 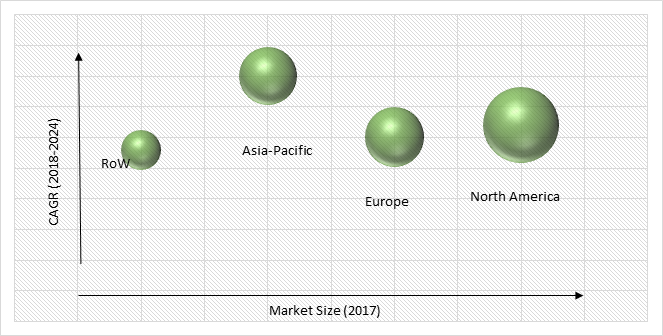 Moreover, the growth of sterilized pharmaceutical products and rise in demand of cleanroom technology solutions in various industrial practices are factors that will drive the growth of the market. The compliance with stringent government regulations with respect to cleanroom technology solutions is another driving force to the growth of the market. The key players in order to meet the varying requirements of their diverse customer base, offer customized solutions of cleanrooms, that provides ample opportunity to the manufacturers to expand their customer base and also favors the industrial growth, globally. North American cleanroom technology market held the largest share of 38.4% in 2017, majorly due to factors such as rise in adoption rate of cleanroom technology solutions, compliance with government regulations for cleanroom, presence of several major players in the region. Moreover, the cleanroom technology products are expected to be witness highest demand in Asia-Pacific, during the forecast period. Factors such as the rise in research and development facilities in several industry sectors, and the increase in prevalence of infectious diseases are expected to drive the growth of the regional cleanroom technology market. Furthermore, the government initiative to develop and maintain healthcare infrastructure by increasing the healthcare expenditure as a percentage of the GDP is also a driving force for the growth of the cleanroom technology market in Asia-Pacific. Clean Air Products Inc. introduced its CAP-583 stainless steel hardwall modular cleanrooms. The new modular cleanroom system has stainless steel doors and frames are integrated into wall panels and all doors have National Sanitation Foundation (NSF) approved hinges for easy cleaning. The modular system is available in variety of modular sizes and can be customized to the application. In March 2018, William Hughes Group, after its acquisition of the ultrasonic cleaning company AC Services in 2015, has installed an 80m² high specification clean room rated at Class 7 in accordance with ISO 14644-1. The ultrasonic cleaning can be utilized by companies to subcontract its cleaning requirements for aerospace and hydraulics, defence, nuclear, medical, electronics and oil and gas industries. Similarly, other leading players in the global cleanroom technology market are providing customized solutions across organizations. 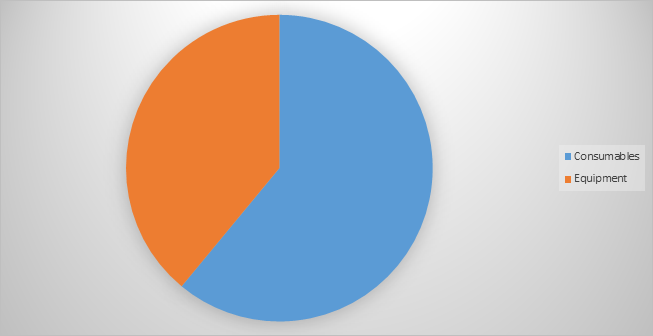 Key players of the global cleanroom technology market include E.I. du Pont de Nemours and Company, M+W Group GmbH, Illinois Tool Works Inc., Ardmac Ltd., Kimberly-Clark Corporation, Azbil Corporation, Taikisha Ltd., Clean Air Products Inc., and Alpiq Group. 9.4. Illinois Tool Works Inc.
Table 47 Snapshot – Illinois Tool Works Inc.
Table 48 Snapshot – Ardmac Ltd.
Table 50 Snapshot – Taikisha Ltd.
Table 51 Snapshot – Clean Air Products Inc.